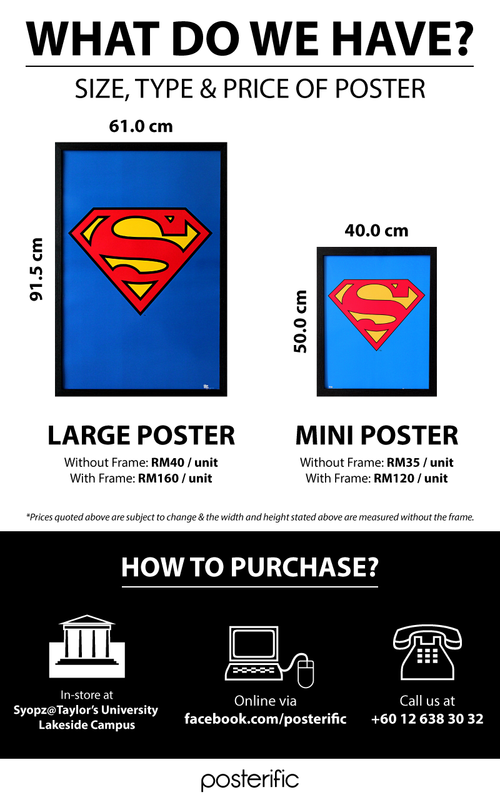 In our previous ‘About Posterific’ post, we explained on the types, sizes, and pricing of posters that we have at our physical store and on our Facebook page. 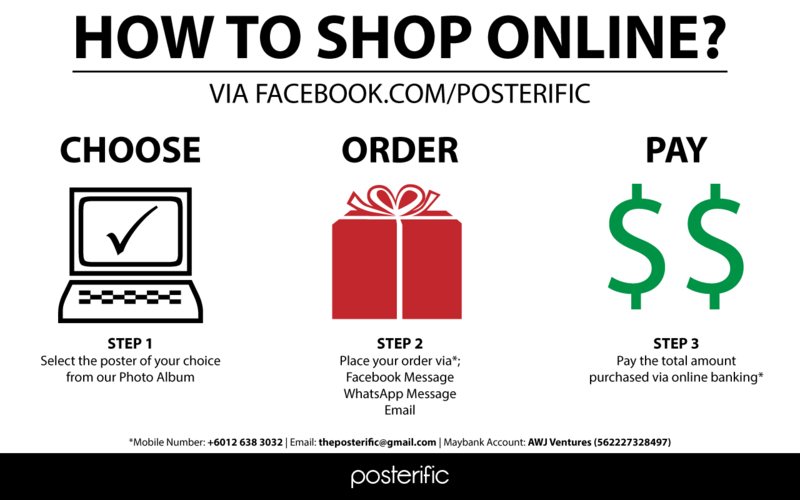 Today, we’re going to explain to you on how you can shop for posters online from our Posterific Facebook page! Aren’t you excited yet? This is going to be fun! The infographic below contains all the necessary information and steps on how you can go to our Facebook page and buy our posters. 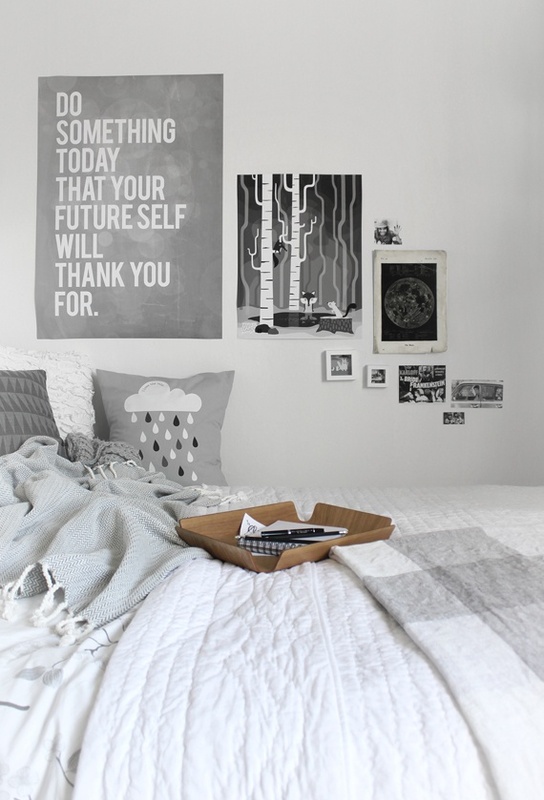 Step 1: Choose the poster(s) of your choice from any of the poster albums in our Photo Album. Step 2: Place your order via Facebook message, text us via Whatsapp, or send us an email. Step 3: Pay the total amount purchased via online banking. The details of our online shopping methods are provided in small print at the bottom of the infographic. If you have any queries, please contact us at theposterific@gmail.com or call us at +6012 638 3032. Let the online shopping begin!